On-the-hood design to match factory body lines. 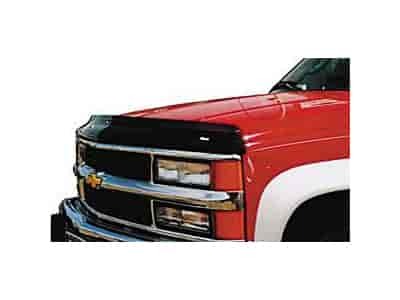 Manufactured from break-resistant high-impact acrylic, these deflectors match the contours of your hood for superior paint protection. They feature a flip up design that guides the air and bugs over your hood and windshield without ''flutter'' at highway speeds.